To take advantage of all the uses of oregano oil, we can use it in topical ways as well as in aromatherapy. We can also use it for infusions. Oregano oil is a natural product which originates from the leaves and flowers of the Oreganum Vulgare plant. There are more than 40 species of the plant. The variety from the Mediterranean area tends to have more medicinal qualities. This oil has been valued for decades for its therapeutic powers. It prevents and heals a wide variety of health problems. This is due to the high content of carvacrol and timol. 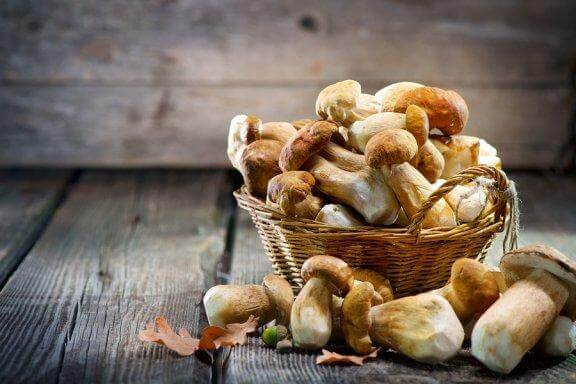 These are two substances that have anti inflammatory, antioxidant, and antibacterial properties. These properties provide protection of the tissues against infections and toxic agents. 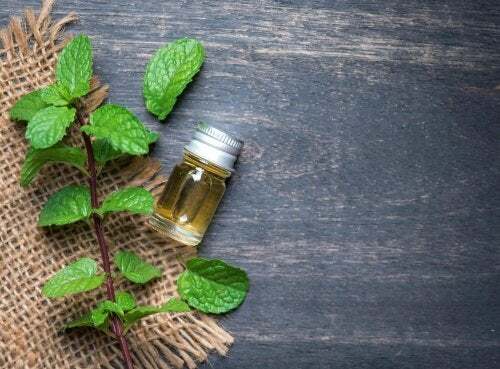 Considering that some people don’t know about its wonderful properties, below we want to share the 8 principal uses of oregano oil. Oregano oil is a product that stimulates the flow of bile to improve digestion of fats and eventually avoid constipation. It’s a mild laxative that helps to remove residues from the colon without affecting its healthy bacterial activity. • Add 5 to 6 drops of oil to a cup of hot water and drink twice a day. The anti inflammatory and antispasmodic compounds of this natural ingredient can be used to decrease pain from menstruation. Its application relaxes the muscle contractions and reestablishes the flow of blood to diminish the severity of the symptoms. Combine with olive oil and massage the lower abdomen for 5 minutes. Repeat this treatment whenever you have severe cramps. The thymol and carvacrol act on the nervous system and emotional health, improving the mood in times of stress and depression. 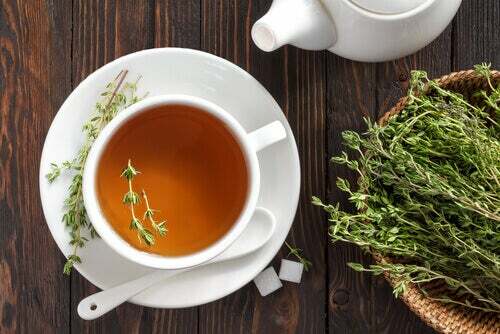 Add the oregano oil to boiling water and enjoy as aromatherapy. Because of its antimicrobial and anti fungal compounds, this natural product is an effective solution to fight fungal infections on the feet, nails and intimate areas. Dissolve a teaspoon of the oil in a container with warm water. Then, apply it to the affected areas. Use it everyday until you eliminate the fungus. 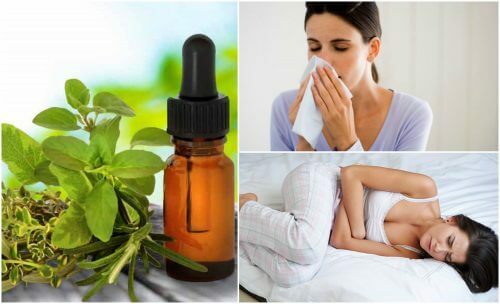 This natural oil has anti inflammatory, expectorant, and antimicrobial properties that, together, help to fortify the immune system to stop symptoms of respiratory infections. 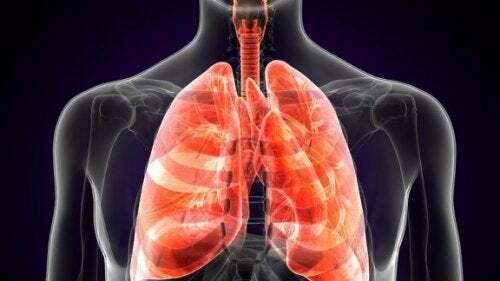 Its volatile compounds relax breathing and, after time, control the excessive production of mucous. • First, bring water to a boil and add a tablespoon of oregano oil. • Then, take it off the heat and breathe in the vapors for 5 minutes. 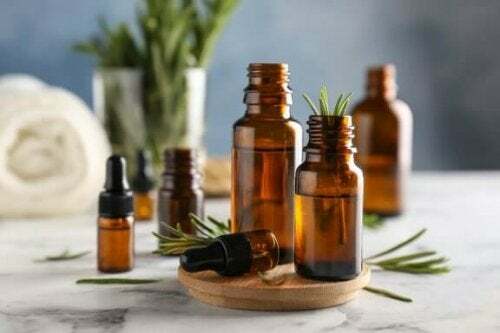 The concentrations of thymol and carvacrol that oregano oil contains makes a homemade remedy to fight parasites that affect the digestive health. These change the environment of the microorganisms, preventing the continuing growth. They also provoke their expulsion. • Make an infusion with 5 drops of oil and drink this twice a day. 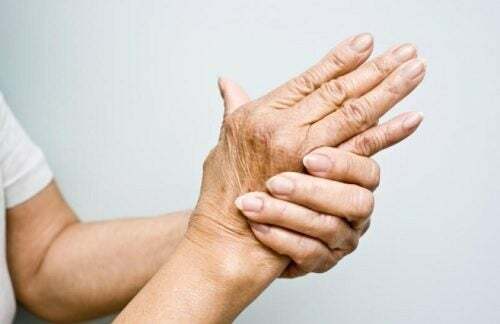 Inflammation problems such as arthritis or carpel tunnel syndrome can be controlled with ingredients such as oregano oil. And, its active anti inflammatory properties relax the painful area. As a result, this reestablishes the circulation and stops the rigidity of the muscles. First, heat a little olive oil and mix in equal parts with oregano oil. Then, massage the affected area a minimum of 5 minutes. Finally, repeat daily to calm the pain. Because of the antioxidant compounds, this essential oil can also be used as a cosmetic for the skin. Also, its active ingredients provide nutrients to the skin. In addition, they minimize the harm to the skin due to toxins and other environmental agents. Additionally, it is ideal to diminish the appearance of premature spots and flabbiness. Combine equal parts of oregano oil and coconut oil or aloe vera and apply to the skin. In conclusion, this organic oil has properties that deserve a place in our medicine cabinet. 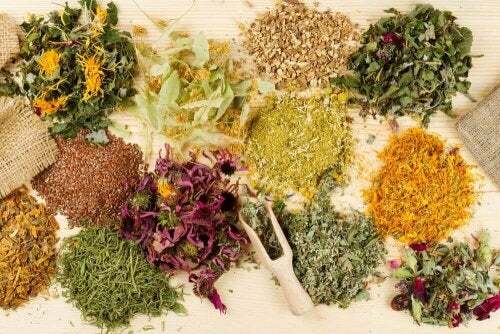 So, buy it in herb shops and use it to treat the health problems that we have mentioned.